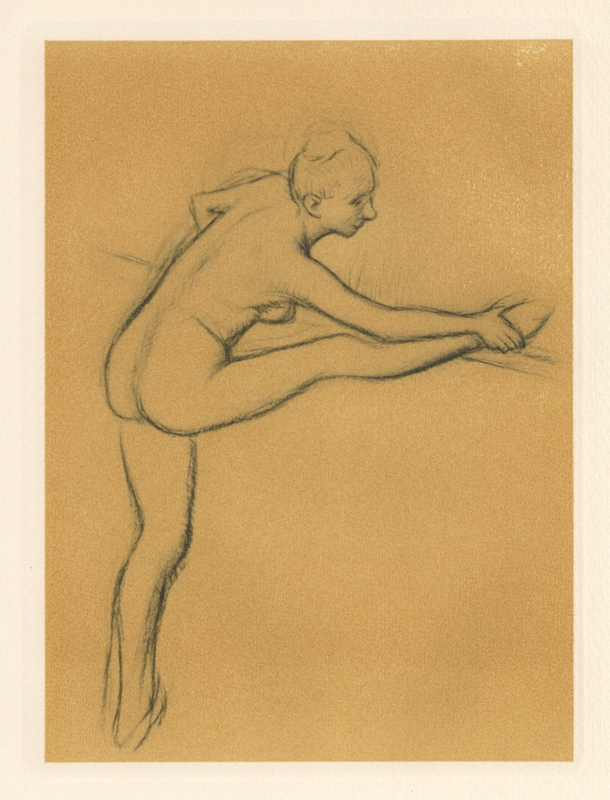 Edgar Degas "Danseuse a la barre"
Medium: engraving (after the drawing). Printed on Vidalon wove paper and published in Paris in 1948 by Braun et Cie for a scarce portfolio. The platemark measures 9 3/4 x 7 3/8 inches. There is an index number in the margin (not affecting the image). Not signed.